Very strong blend of branched chain amino acids and glutamine. Do not kid yourself, if you do not lock their muscles against catabolism Your results will be drastically reduced. Excellent powdered concentrate for the preparation of special regenerative drink for athletes! Bet on the quality! High quality product with precisely selected composition quickly and at an average rate of digestible carbohydrates, peptides and free amino acids are responsible for giving your muscles the strength, hardness and strength after a long, hard battle in training and sparring. 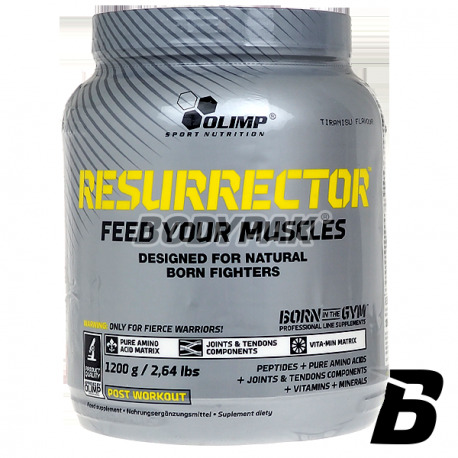 The line of supplements Olimp Live & Fight is dedicated to the modern gladiators, warriors steeped in the worship of each of the martial arts combat, improvement of professional and amateur their skills in everyday katorżniczych training or sparring. Products with this elite line are designed for accelerating the progress of training both through increased post-exercise recovery, and enhance the ability of the body to extreme effort. Developed and tested in cooperation with professional players martial arts. The result of painstaking experiments products are perfectly tailored to the needs of people practicing these demanding sports, who dedicate themselves to them endlessly through the blood, striving to win. The composition is enriched with additional substances that play a huge role in building the strength of the joints, tendons and ligaments to extreme overload, preventing their injuries, as well as accelerating the recovery of components to the most comprehensive training. Each serving provides the full range of components so far the most common one used in products for athletes. Only Resurrector gathered them all in the elite, dedicated to a specific group of people product. Valuable addition to its unique composition is also thought the vitamins and minerals that contribute to the proper functioning of many body processes, including maintaining efficient energy conversion. 1 serving (60g powder = 1¼ scoops dissolved in 120 ml of water) 1 once a day immediately after workout. Pomaga podnieść się na nogi po ciężkim treningu. Regeneracja na duży plus! Cena kosmiczna, ale regeneracja po treningu o 100% lepsza! Budzę się rano zdecydowanie bardziej wypoczęty - polecam!!! Incredibly effective post-workout shot, whose members were of the highest quality branched chain amino acids (BCAA) and the addition of L-glutamine and electrolytes! It supports rapid regeneration of post-exercise, supplements deficiencies of minerals lost in sweat, but also supports the anabolic! Comfortable and hygienic supplementation. High-quality post-workout product of the kind of "all in one", the use of which improves regeneration but also increases anabolic processes! The advanced formula containing creatine, free amino acids and high-quality carbohydrates. FA Nutrition Xtreme Anticatabolix - 250 tabl. Professional preparation prepared for real professionals, who appreciate the comprehensive approach and the high quality of applied active substances. It helps to improve the performance gains in muscle mass and promotes rapid recovery post-workout. High-quality conditioner based on sensational carbohydrates (Vitargo), and 24% full-value proteins from whey proteins. You can enjoy it during the day and after exercise. 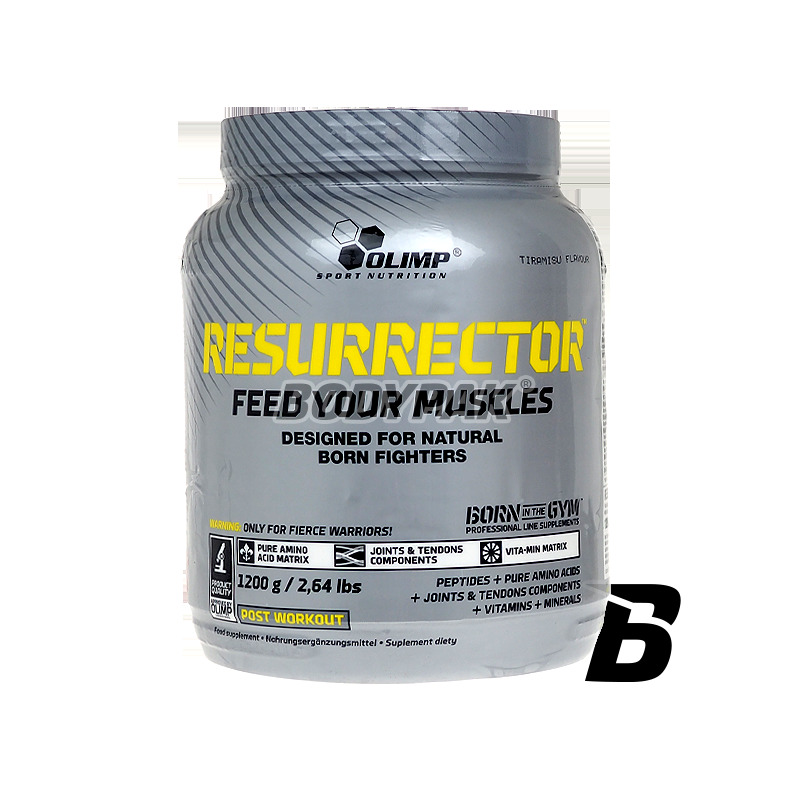 It affects acceleration of regeneration and reduces catabolic processes! Amix Recovery Max is a supplement through which will provide the essential amino acids the body at the time of their greatest need - immediately after your workout.